I remember in 2006 when I was in Achanakmar wildlife sanctuary in the State of Chhatisgarh. I saw a number of honey bee hives on tall trees. 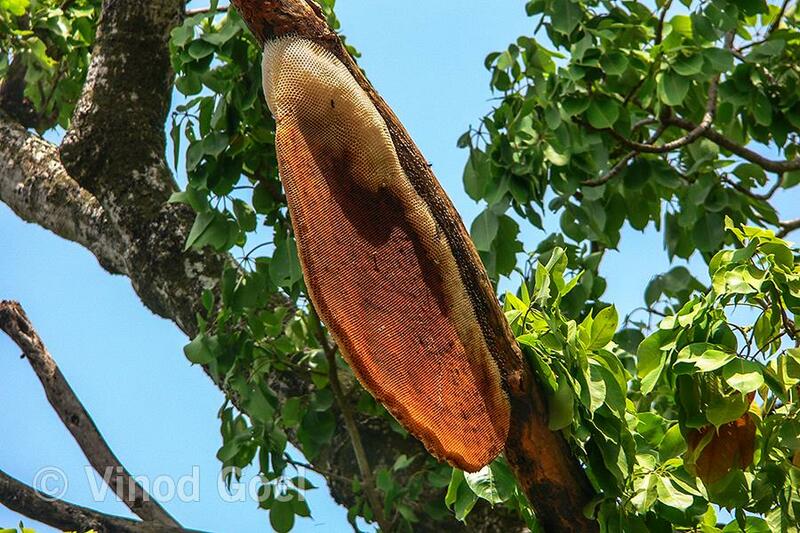 The honey bees had left the hive and on close observation one of them looked as if resembling a Ganesha . Immediately I took a number of photographs and on arrival at Raipur showed it to my collegues . They agreed and stated that no doubt the images are of Lord Ganesha. After that I have started believing that nature has hidden many secrets into its womb and once you start taking in depth interest into it will keep on revealing them one by one. The Bhopal, capital of Madhya Pradesh, has a tree on the main road between the Big lake( bara talao) and the small lake (chhota talao). 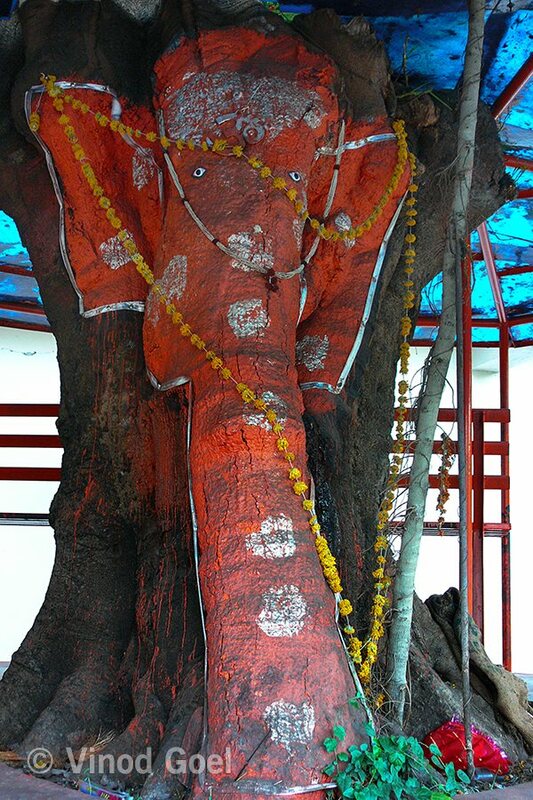 The trunk of the tree is painted in sindoori color on every Tuesday and Saturday .The painted portion of the tree resembles the Lord Ganesha. 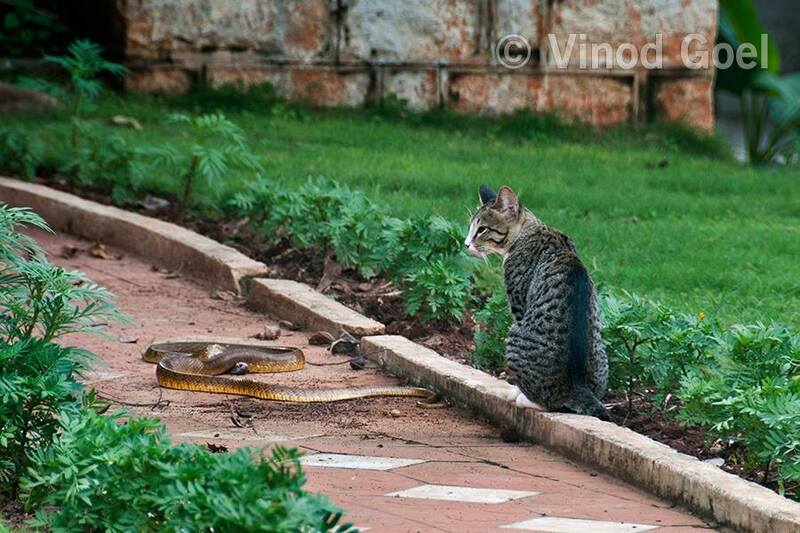 It was on 15th August 2010 I happened to see a snake and a cat sitting opposite to each other hardly one feet from each other in the lawn of Income Tax Guest House at Banjara hills in Hyderabad. I started clicking as this was very unusual. Both of them sitting cool and in a peaceful manner. In fact I was anticipating fight among them, but I was incorrect in my assessment. The snake about 7to 8 feet in length raised its hood and turned back and moved peacefully . The domestic cat followed it but never seemed in a attacking mood. The snake entered into a hole and the cat was wondering how it has disappeared. In reality the cat and snake are enemies and invariably they fight out and one of them looses life. But here it was most unusual. Why ? On the previous day I had completed my journey to all 12 Jyotilingas. The last in the series was Mallikarjun in Andhra Pradesh. I visited the first jyotilinga in my life in the year 1982 during our Bharat darshan while we were at Lal Bahadur Shastri National Academy of Administration at Mussorie. During the in between period of 26 years I had visited the 10 jyotilingas at various places in India. The 12 Jyotirlingas are temples dedicated to lord Shiva which are spread all over India and considered holiest by the devotees of Shiva. It is difficult to visit them at a stretch as they are spread out through out the length and breadth of the country. When I discussed the behavior of cat and the snake, the learned people told that the God gave their presence to me after visit to 12 Jyotilingas was complete. The God can not be seen as it was seen by Arjun in the battle of Mahabharat. However the same be seen through its menifeststion. Here Lord Shiva in the form of snake and Goddess Parvati or Laxmi in the form of a cat. We know that a snake is always present on the body of Shiva. Further the vehicle of Goddess is a lion or a tiger( both of them belongs to cat family). 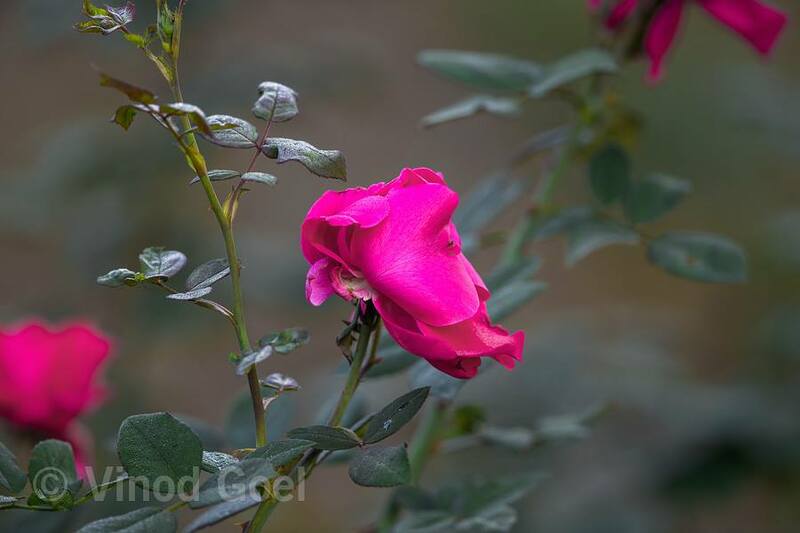 During Dec 2014, when I did not have anything else to shoot in Delhi, the photographer inside me woke up and I captured lot of shots of Rose buds, Rose in blooms in foggy conditions. The dew drops on the Rose buds & on petals create splendid scenes around. The most amazing fact of the entire episode hit me hard when I saw those shots on the monitor screen, it was unbelievable, I could see the invisible behind the visible! 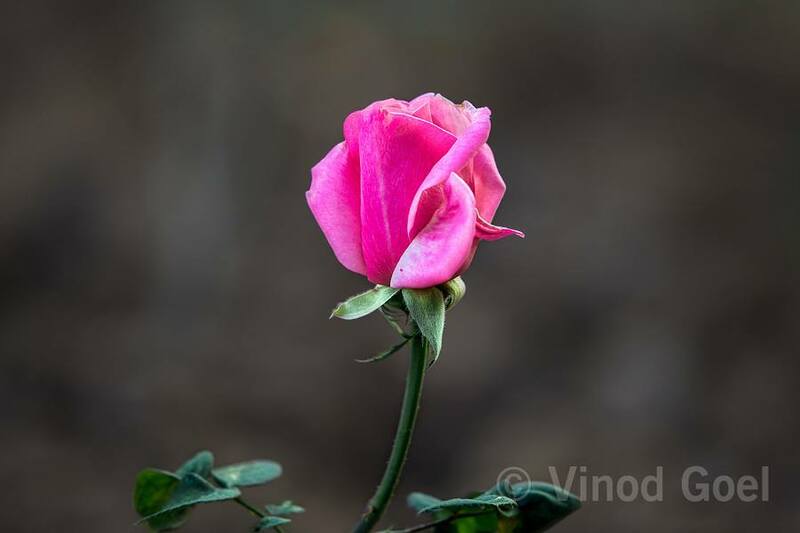 Although one may say, Rose is a Rose, but here invisible is Lord Ganesha. This unique photograph was captured on 5th December, 2014. Incidentally, I lost my father on 5th December, 2000, who had the vision to send me to Sainik School, Balachari, Jamnagar in Gujarat almost five decades ago. This particular day, 5th December, is a red letter day for me, & in 2014 when I reached home from morning shoot I came to know the sad , untimely demise of my young brother-in-law and on the other hand, Lord Ganesha appears in visibly invisible form to give me the hope to live & explore the reality of the beautiful mother nature. While looking deeply into other photographs of rose I realized that there is another shot which appears like side pose of Lord Hanuman . I could not resist myself.